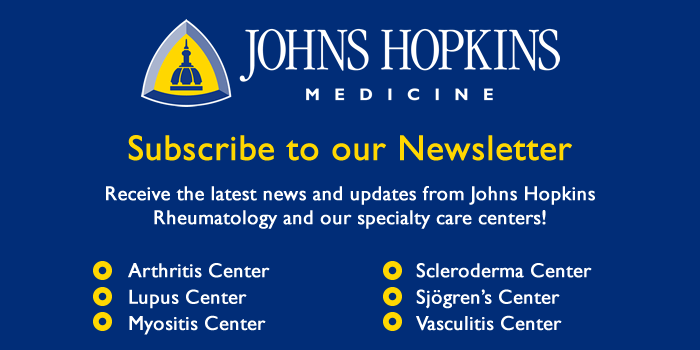 If you suspect that one of your patients may be suffering from Sjogren’s syndrome, we encourage you to refer your patient to the Sjogren’s Syndrome Center at Johns Hopkins. We have found that diagnostic studies such as labial gland biopsy and sialometry are only reliable when performed and interpreted by physicians with significant specialized expertise. By beginning the process of diagnosis and evaluation in one clinic, your patient will receive the thorough care that he or she needs. In addition, we tailor your patient’s treatment based on testing, evaluation and clinical evaluations.